Shortly after investigators arrived at a grow on the 1600 block of Santa Barbara Canyon Road, three Hispanic male fled into the foothills. Deputies stayed at the site and inspected several outbuildings and a large marijuana grow. While searching the property, deputies located two rifles, a small amount of cocaine, more than $9,000 in cash and a large marijuana grow. Detectives then destroyed the 1,955 marijuana plants found at that location. A sheriff’s department helicopter responded to the area to search for the suspects but they were not located. Deputies also served a series of search warrants on suspected illegal marijuana cultivation sites in the Cuyama Valley. None of the cultivators possessed any licenses from the State of California or the County of Santa Barbara to operate legally, nor had the growers attempted to get proper licensing. 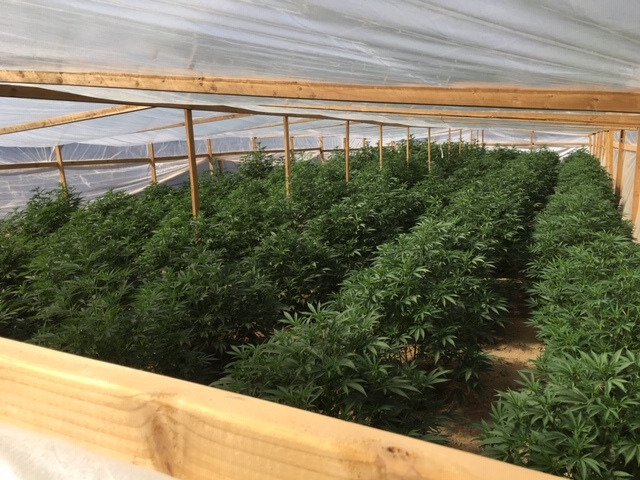 After detectives were finished with the first search warrant, an additional search warrant was served on a rural property off Wasioja Road where deputies found a large camp along with a marijuana grow. The property was unoccupied when detectives arrived. 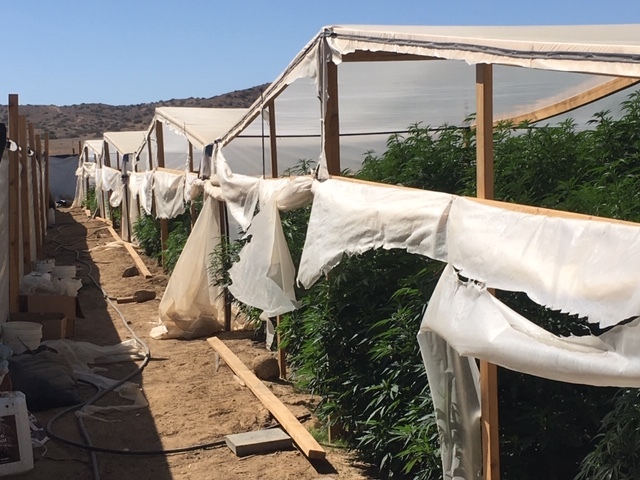 After securing the property, detectives destroyed 2,318 marijuana plants, and noticed large amounts of trash from people camping at the location including various grow chemicals. Detectives then served an additional search warrant on a rural property located in the 8300 block of Foothill Road where they found a large marijuana grow with several camping trailers on the property. No suspects were located on the property, but there was evidence indicating suspects had been at the location within the past day. Detectives destroyed 1,200 marijuana plants at this location and rescued a small puppy. The puppy was huddled around growing chemicals and appeared sick. Detectives recovered the puppy and turned him into County Animal Services to be cared for. In total for the two-day eradication operation, detectives destroyed 5,473 plants worth an estimated $2.7 million dollars in value. Investigators are continuing to look for the suspects involved in the illegal cannabis grows. pot growers beware…you are officially cutting into the governments tax revenue and will be targeted. Illegal because the gov didn’t get their share? so the moral of the story is….dont steal from the government, they dont like competition.